Up for review today is one of my all-time favorites from Davidoff Cigars: the Davidoff Millennium Blend Toro. Every size is blended meticulously for consistency and quality. The Short Robusto size recently earned a score of 94 (spectacular) on this site. 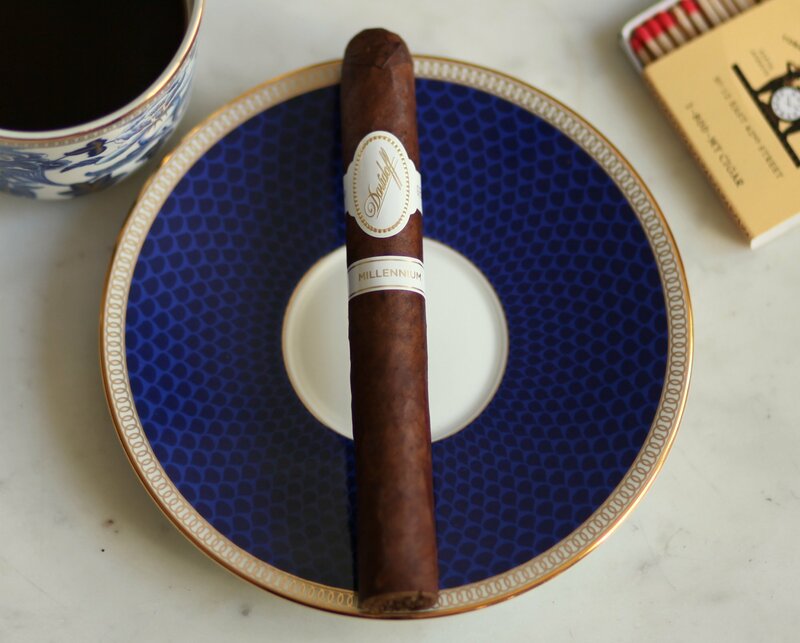 The Davidoff Millennium Toro’s Ecuadorian wrapper is the color of dark oak. It has a few moderate veins and some noticeable seams. The wrapper smells fairly light, with earth, cedar, some spice, and leather. When squeezed, the cigar has a bit of give and is packed consistently over its length. 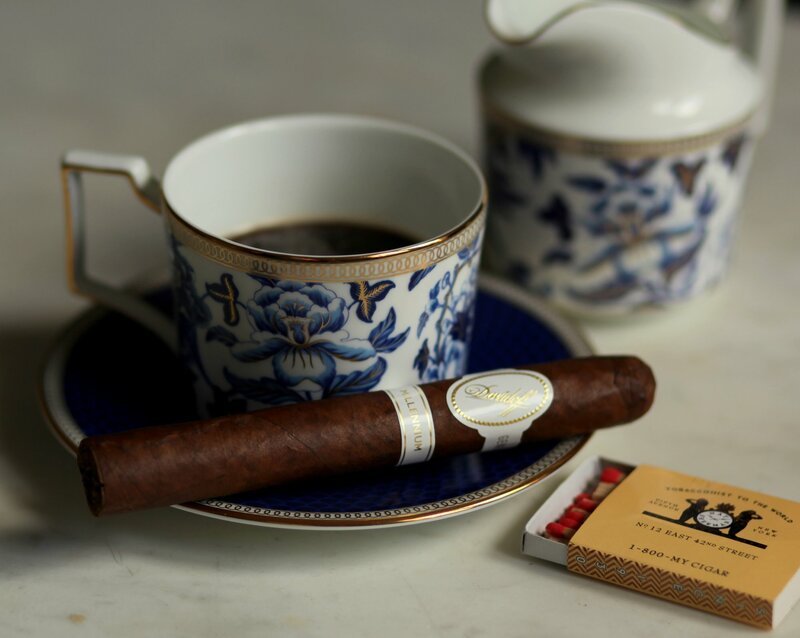 I take a whiff off of the foot of the cigar, and pick up balanced aromas of coffee, earth, and some black pepper. The pre-light draw is surprisingly mild given the intensity of the smoke ahead, with notes of slightly sweet earth, granola, and wood. 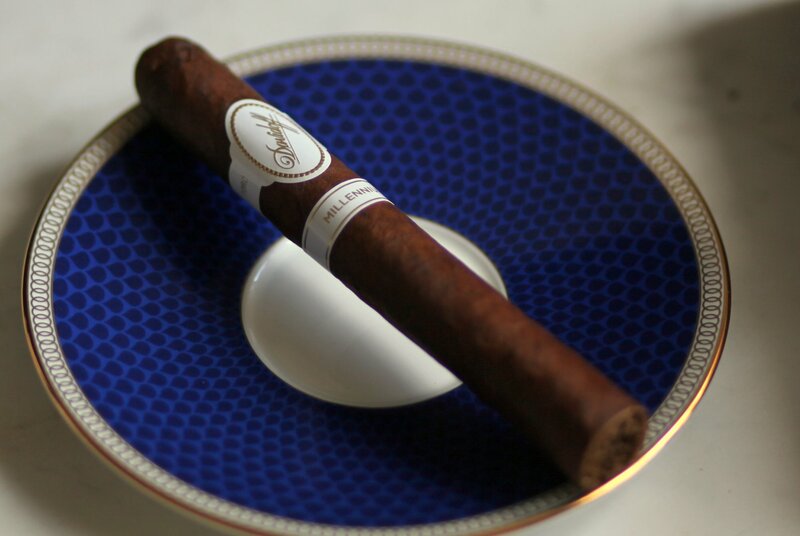 The Davidoff Millennium Blend Toro opens with coarse, medium bodied smoke. Notes include grass, cedar, black coffee, cocoa powder, mustiness, cured meat, and a slight creaminess. The cigar produces a high amount of lush smoke. With this cigar, you’ll quickly learn to be careful with the retrohale as it is full bodied and spicy. At about an inch in, the smoke becomes more oily and round. Sweeter too, with the cocoa powder becoming more of a milk chocolate note. At the same time, the pepper and spice move forward, to the tip of my tongue, making it feel like I have two simultaneous flavor profiles happening at once. Complex, and yet still very balanced. As the cigar burns well into the second third, the flavors of the smoke become more intense and concentrated. We’re now at about a medium-full in terms of strength and body. Dominant flavors are black pepper, smoked meat, chocolate, and a bit of natural tobacco sweetness. Very, very enjoyable. At this point it strikes me that this cigar could pair very well with a peaty scotch, like an Ardbeg An Oa or Lagavulin 8 Year. As the cigar hits the final third, the profile shifts definitively like clockwork. The oak note returns, along with black and white pepper, milk chocolate, and a nice vegetal note. Where the retrohale at the start was heavy and granular, now it is extremely smooth and silky. As much as I enjoyed all of the cigar, the final third is and has always been my favorite third for this cigar. It is the perfect combo of strength, clarity, and finesse. It’s hard for me to smoke the Davidoff Millennium blend and not be a bit in awe. Incredibly complex and dynamic, with a great story to tell from a flavor standpoint. Construction and draw are always top notch. The Millennium Blend Toro is on par with any of the best cigars I’ve ever smoked.